Jerry Sullivan opened his garden center in March 1953 on the same location as his father’s coal company. The two businesses ran side by side until 1955 when the coal closed. Brother Dan entered the business in 1956. All was rosy in the garden center and in 1972 the brothers expanded the business to include lawn service. Ten years later the landscape division is expanded as well. In 1977 grandchildren Dan, Mark and Katie entered the family business and opened satellite locations in DFW (1983) and Detroit (1986). The new century saw the family and the business continue to grow. A new garden center was built in Perrysburg, Ohio in 2006. As a North Texas-based family business located in Carrollton, Texas since 1983, we stand behind our work and guarantee our products and their performance. Having been involved in Carrollton and other local communities providing lawn care for over 30 years makes us a valued trusted partner for our customers. One of the many reasons they choose Diamond Lawn Service with their lawn and landscape is that they appreciate how much we really care! 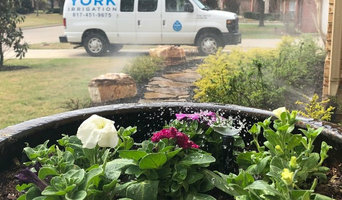 What does a lawn and sprinkler contractor in Dallas, TX do? 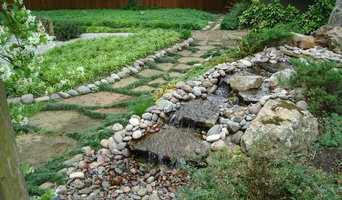 Find a lawn and sprinkler contractor in Dallas, TX on Houzz. Scroll through this page to find professionals in your area that can supply and install turf and artificial grass; set up sprinkler and irrigation systems; as well as provide general lawn maintenance services. You can browse their portfolios, read reviews and see how other homeowners rate their service, expertise and products.